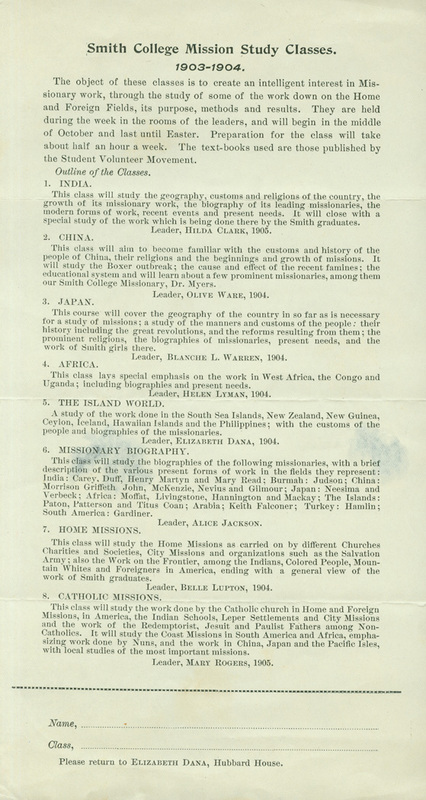 Smith College Mission Study Classes leaflet, 1903-1904. Smith College. Religious Organizations Files. Smith College Association on Christian Work--Mission Society, “Smith College Mission Study Classes leaflet, 1903-1904.,” Smith Libraries Exhibits, accessed April 18, 2019, https://libex.smith.edu/omeka/items/show/353.